Publisher : Square One Publishers. U.S.A.
More than a grain, wheatgrass offers the healing benefits of a primary 'sun-food', converting the sun's rays directly into chlorophyll as well as an abundance of vitamins, minerals, amino acids and enzymes -- all needed to enhance health and optimize health and well-being. The story behind my book was my quest for better health. 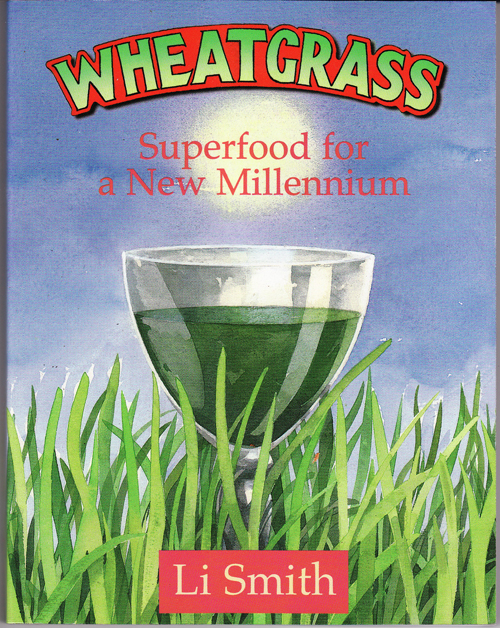 In 1978 I started growing wheatgrass and drinking wheatgrass juice. My health improved dramatically, and so did the health of my family and friends. I have witnessed many cases of dramatic healing among those consuming wheatgrass juice, including the reversal of high blood pressure, anemia, asthma and kidney dysfunction. I have appeared on South African television and in People magazine promoting wheatgrass as a therapeutic superfood. Author Li Smith has been growing wheatgrass for over 20 years in South Africa. Wheatgrass: Superfood for a New Millennium is a wonderful book of insights, experience, and wisdom from the kingdom of chlorophyll. 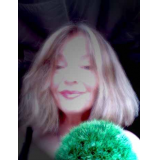 The nutritive and therapeutic blessings of wheatgrass juice as well as the histories and spiritual traditions of this superfood are as old as life itself. Fermented foods, herbs, and edible flowers are also graciously touched apon. Cleansing, rejuvenation, and life are all gifts Mother Earth gives you when you drink of her nectar. So have a little liquid sunshine and feel the peace.